English. Black. War. 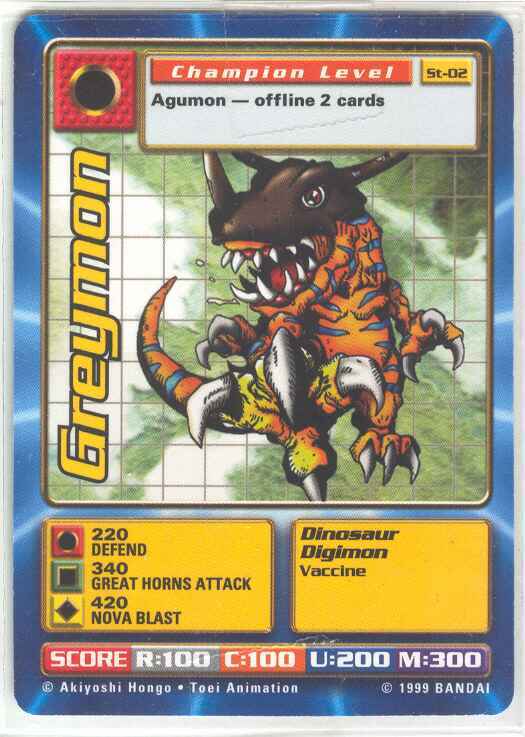 Grey is most likely a misspelling of grea, short for great. Etymology English. Black. War. 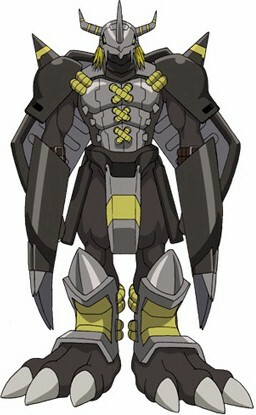 Grey is most likely a misspelling of grea, short for great. 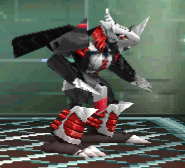 Note-1 In the dubbed version of Digimon Season 2 Episode 32, BlackWarGreymon uses announces an attack before killing Knightmon, 'Mega Destroyer'. No attack is announced in the original. 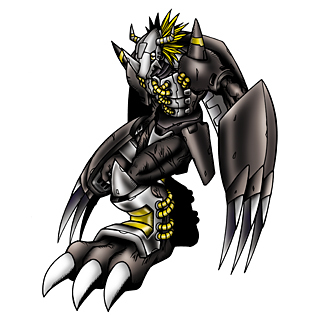 Note-2 This Digimon was first released in Starter 3 of the Digital Monsters Card Game Hyper Colosseum where it was named 'WarGreymon'. 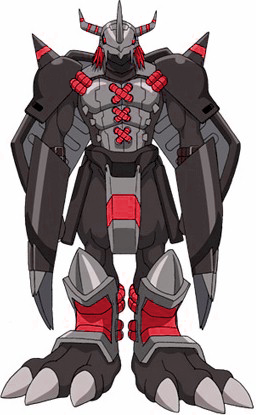 It later appeared in D3 Ver. 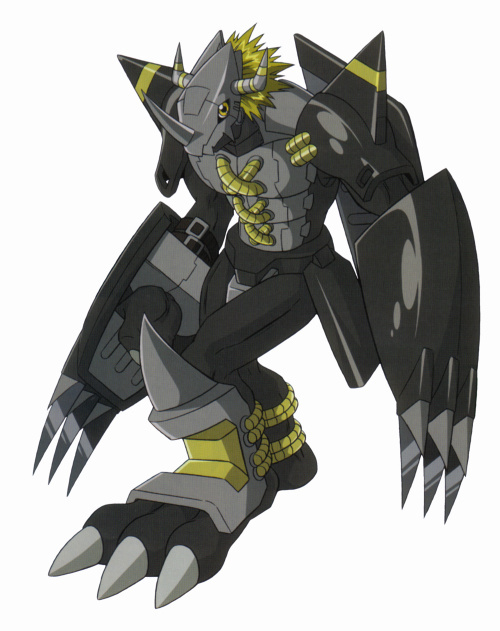 1 and Digimon Zero Two as BlackWarGreymon. 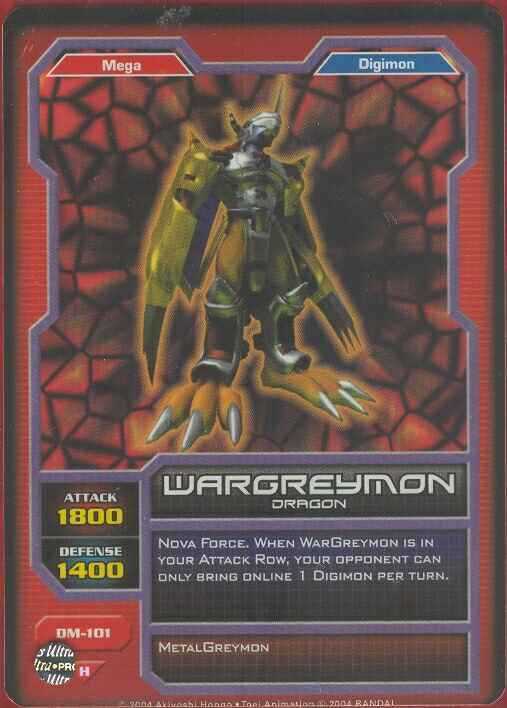 The cards continued calling it 'WarGreymon'. 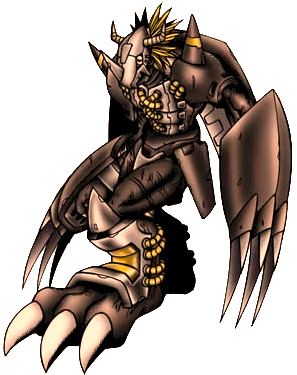 but all games would call it BlackWarGreymon. 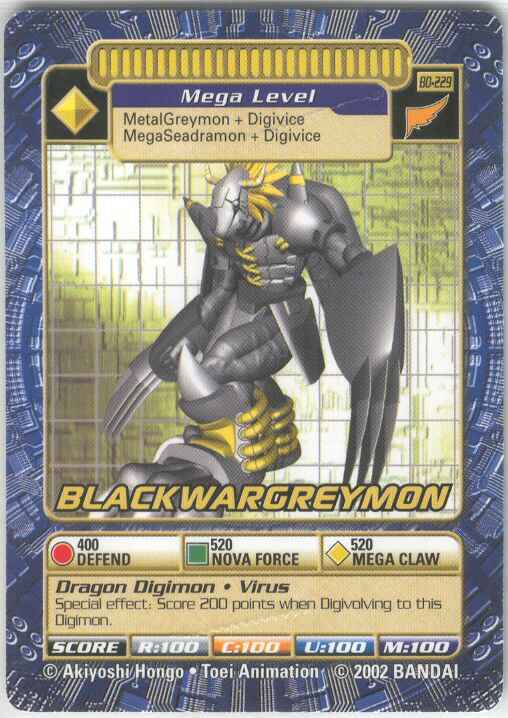 BlackWarGreymon would not get its own card until SPa-2 and has since been referred to as BlackWarGreymon in all media.